This was a painful post to research and write. It was made even more painful by the events in Charlottesville this past weekend. How can we still be seeing swastikas and Nazis in 2017? How do people learn to hate those who differ from them? When will we ever conquer racism and prejudice of all kinds? In my last post, I wrote about the family of Markus Katz, the oldest son of Moses Katz and Malchen Wetterhahn. Markus died before the Holocaust, and his wife Nanny was murdered by the Nazis. Fortunately, however, their three children—Maurice, Mali, and Senta—escaped in time. Tragically, not all of Moses and Malchen’s descendants were able to escape. My thanks to David Baron and Barbara Greve for their research and help in uncovering some of the records and facts included in this post. Rickchen Katz, the oldest child of Moses and Amalia Katz, died of cancer in Frielendorf on September 15, 1933. Given the ultimate fate of her husband and children, that might very well have been a blessing. I don’t know the details of what happened to the family in the 1930s, but according to the research done by Barbara Greve and reported on the Juden in Nordhessen website, Rickchen’s husband Abraham Moses committed suicide on June 13, 1940. He had moved to Frankfurt with his three daughters, Rosa/Rebecca, Amalie, and Recha. Imagine how intolerable his life must have become under Nazi rule for him to take such drastic action. 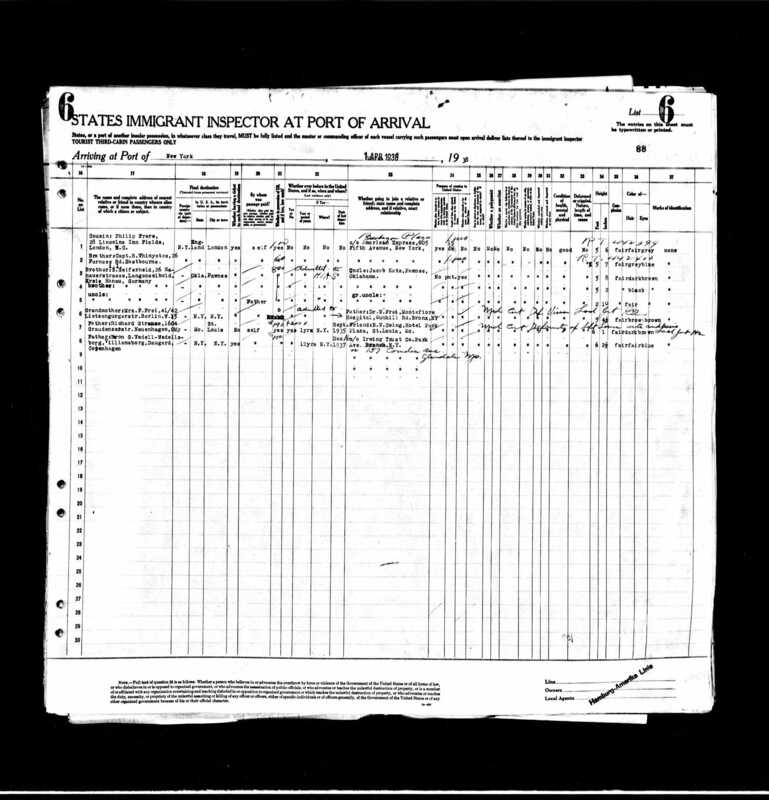 In November, 1941, Rickchen and Abraham’s daughter Rosa/Rebecca and her husband, Julius Katz, and their teenage son Guenther, were deported from Frankfurt to Minsk, where it is presumed that all three were killed. Amalie, Rosa’s sister, also was deported to Minsk at that time and is also presumed to have been killed there. I have no further record for Amalie’s twin Recha. I assume she also was a victim of the Holocaust. (All the links here are to the Yad Vashem entries for those individuals.) Thus, all of the children of Rickchen Katz and Abraham Moses were murdered by the Nazis. 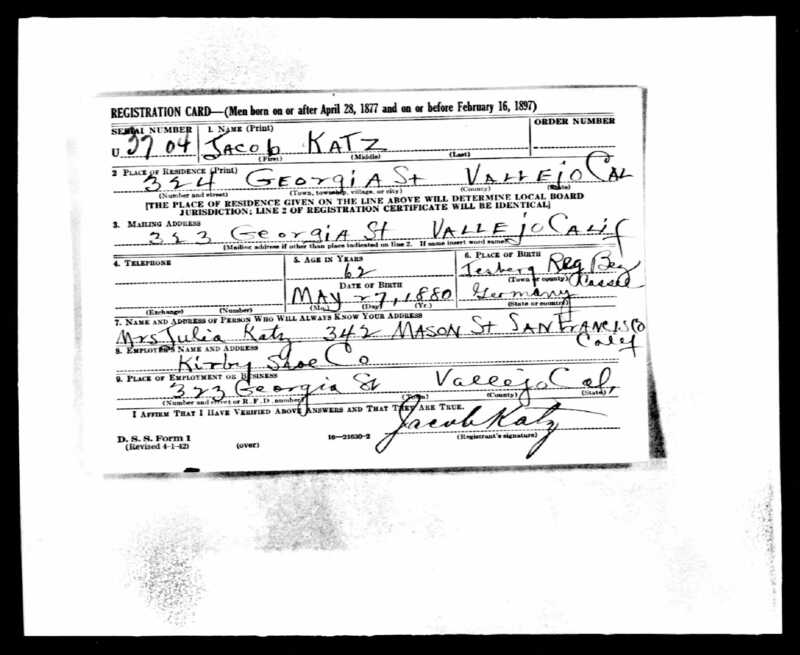 Jacob M Katz, the second oldest son of Moses and Malchen Katz, had been in the US for many years by 1930, having arrived in 1908, as I wrote about here. He had settled in Oklahoma, where in 1930 he was married to Julia Meyer and had a teenage son, Julian. They were living in Wolf, Oklahoma, where Jacob was working in a dry goods store. According to the 1940 census, by 1935 Jacob and Julia had moved to Pawnee, Oklahoma, and in 1940 Jacob was a men’s clothing merchant there. Julia’s sister Rose was also living with them. But by 1942 when he registered for the World War II draft, Jacob and Julia had moved to Vallejo, California, where Jacob was working for the Kirby Shoe Company. I do not know what took them to California; their son Julian had married by then, but was still living in Oklahoma. Jacob died in San Francisco in 1956; Julia died the following year, also in San Francisco. Lena Katz, one of the three children of Moses and Malchen still in Germany in the 1930s and their third oldest child, survived the Holocaust. Her husband Hermann Katz had died on November 2, 1929, in Marburg, Germany, but Lena and their three children—Bertha, Moritz, and Amalie—all left Germany before 1940. 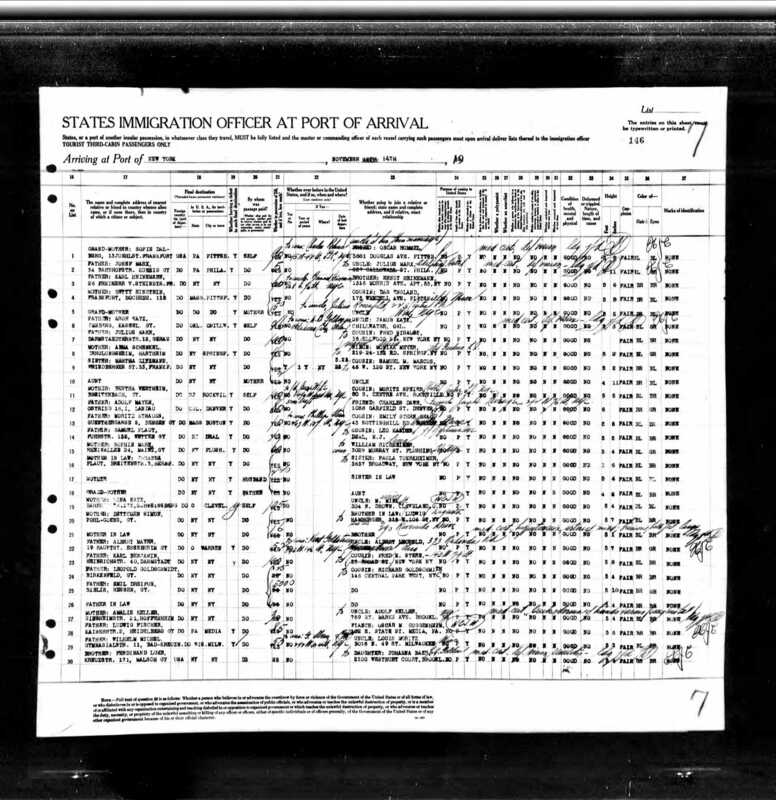 Her son Moritz left first, arriving in the US on November 14, 1936. 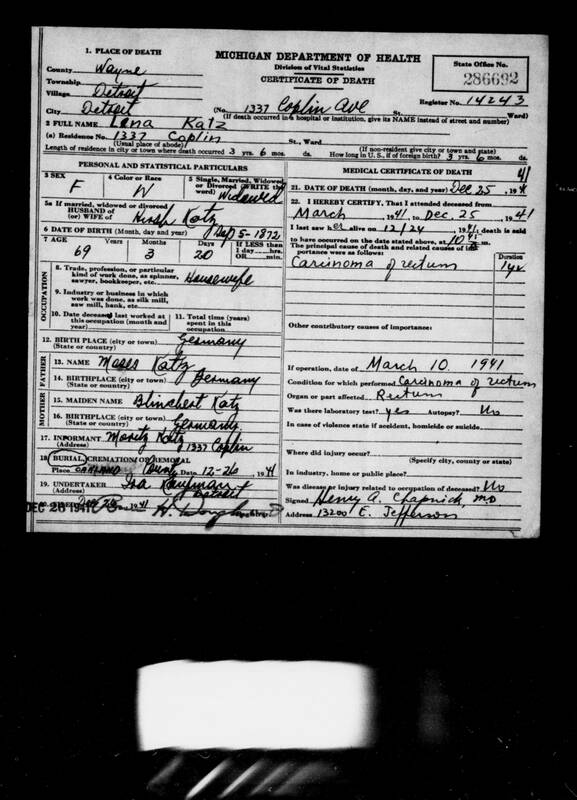 He listed his occupation as a butcher and listed Maurice Mink, his aunt Julia’s husband, as the person he knew in the United States. His final destination was listed as Cleveland, Oklahoma, where Julia Katz Mink (the youngest daughter of Moses and Malchen) and her husband Maurice Mink were then living. Perhaps not coincidentally, his cousin Julius Katz, son of Aron Katz, was on the same ship, as noted in an earlier post. 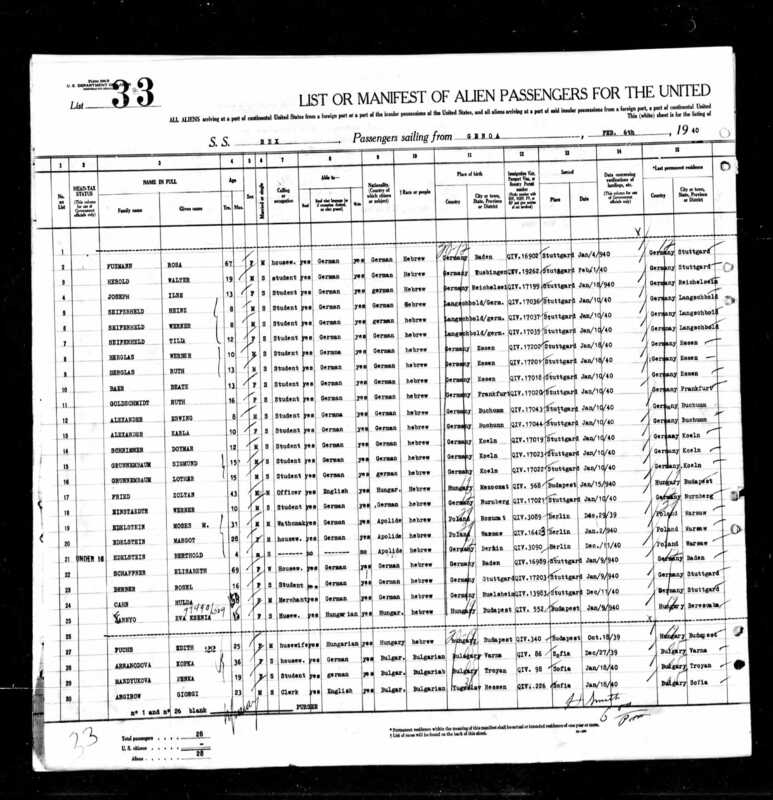 The next family members to arrive were the three young children of Lena’s daughter Bertha and her husband Siegmund Sieferheld; they were only twelve and eight years old (the younger two were twins) and sailed on a ship that seemed to have many children; it arrived in New York on February 6, 1940. 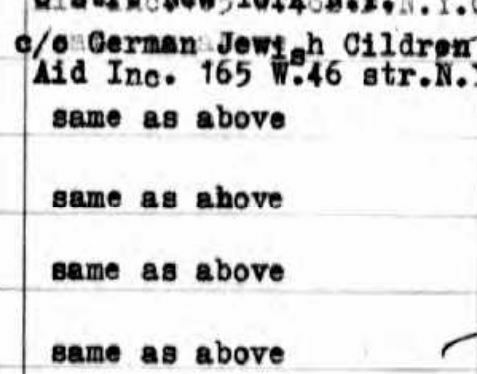 The ship manifest listed the German Jewish Children’s Aid Society as the entity responsible for receiving these children. A more extensive description of the organization can be found here. It describes the incredible work done by Americans, Jews and non-Jews, to rescue over a thousand children from the Nazis—certainly a small drop in the bucket considering the number of children who were murdered, but without organizations like the German-Jewish Children’s Aid Society, many more, perhaps including the three children of Bertha Katz and Siegmund Sieferheld, would also have been killed. When I try to imagine the desperation of these parents—sending their young children off on a ship, not knowing whether they’d ever see them again—and the fear of those children, leaving their parents and the only home they’d ever known, I have to stop and catch my breath. I think of my seven year old grandson, just a year younger than Bertha’s twins. It is just too painful, too unimaginable, to visualize him being torn away from his parents and his parents being torn away from him. 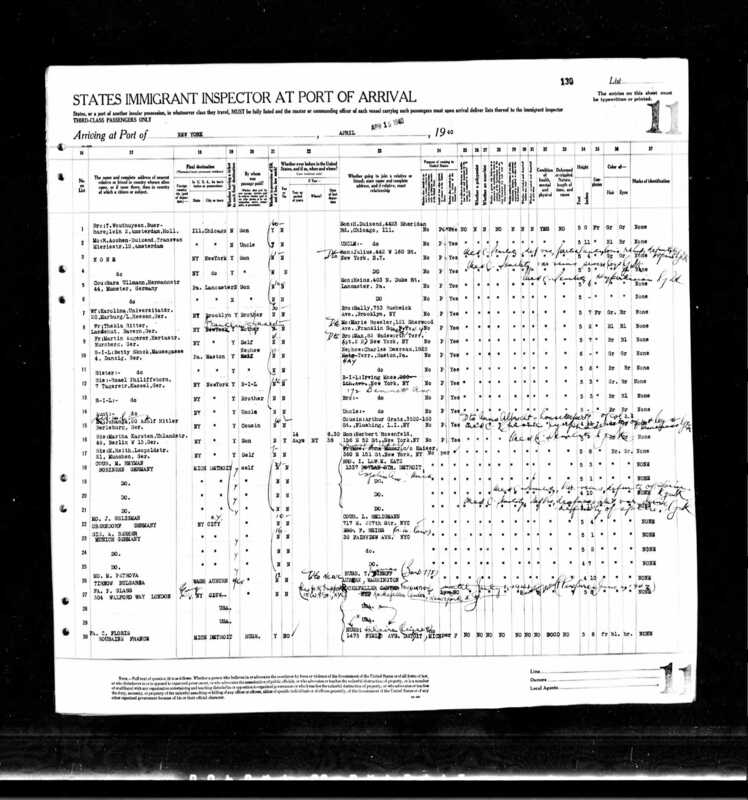 The 1940 census shows Lena and almost all of her children and grandchildren living together in Detroit; Moritz, listed as the head of household on the 1940 census, was working as a sausage maker in a butcher shop. Lena’s daughter Mali and her husband Max Blum were both working in a packing house. And the three young children of Bertha and Siegmund Sieferheld, Tillie, Werner, and Henry, were also living with Lena, Moritz, and Mali. Their parents Bertha and Siegmund were still in Germany, separated from the rest of their family. In addition, Lena’s younger sister Julia Katz Mink (listed as a widow here) was also living with them. Julia had apparently separated from her husband Maurice by 1930, when they were living separately in Cleveland, Oklahoma. Her daughter had married by 1940 and was living elsewhere. Julia died in 1971 in Montclair, New Jersey. So as of 1940, all but Lena’s daughter Bertha and her husband Siegmund had escaped from Germany; their three young children, however, were safely with their grandmother Lena and aunt Amalie and uncle Moritz. And then finally Bertha and Siegmund arrived on April 15, 1940. They were sailing with two older women also named Sieferheld—perhaps Siegmund’s mother and aunt. They listed Detroit as their destination and M. Katz, Bertha’s brother Moritz, as the person they were going to. Siegmund listed no occupation. 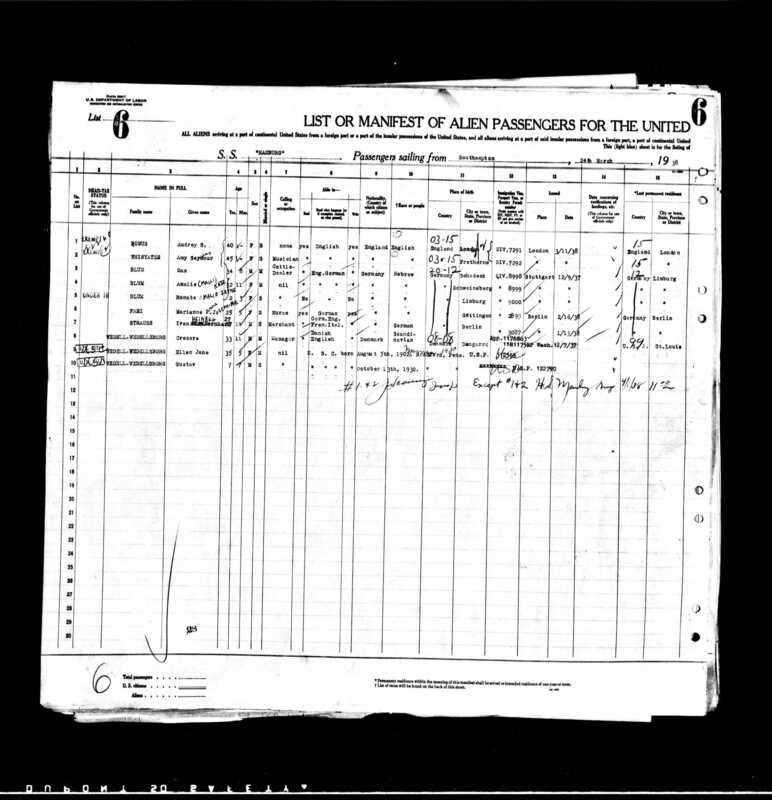 How very fortunate Lena and her family were—all of them reunited safely in Detroit by April, 1940. Sadly, Lena died from cancer on December 25, 1941, just twenty months after having her whole family reunited in Detroit. She was 69 years old. Thus, almost all of the children of Moses Katz survived the Holocaust—all but the children of Rickchen, who were murdered. Even those who were fortunate enough to survive, however, must have borne some scars from what they had experienced. Words like “fortunate” and “survived” are just not the right words to use in writing about something as horrific as the Holocaust. I find myself just unable to find any right words. I don’t think there are any. And to think that there are still people out there, chanting for hate and waving Nazi flags. This brings me to the end of the story of the children of Rahel Katzenstein and Jacob Katz. From Abraham Katz and Samuel Katz, who came as young men in the 1860s and settled first in Kentucky before moving to Oklahoma and Nebraska, to Jake and Ike Katz who came thirty years later as young men and started a department store business that grew to be a small empire in Oklahoma, to the many family members who were killed in the Holocaust and those who were able to escape the Nazis in the 1930s, the Katzenstein/Katz family demonstrated over and over that they were willing to take risks, to help each other, and to work hard for success. I am so fortunate to have been able to connect with so many of their descendants, who continue to exhibit that strong sense of family and that drive to succeed. To me that seems quite remarkable, but given the spirit of adventure and commitment to family exhibited by all the children of Rahel Katzenstein and Jacob Katz, perhaps it really is not. This entry was posted in Detroit, Genealogy, Germany, Holocaust, Katzenstein, Oklahoma and tagged Charlotteville, Detroit, holocaust, Katz, katzenstein, Nazis, Oklahoma by Amy. Bookmark the permalink. That so many survived is amazing and shows that both sides understood what was happening. In my family some refused to leave Europe even though they had visas because they could not believe what was happening. They allen were murdered in the Shoah. I think in Germany they had a better idea earlier than in the rest of Europe because of the Nuremberg laws. Those who managed to get out before the war started were very fortunate, and more would have escaped but for the fears and prejudice of the US State Department. History just keeps repeating itself. But yes, even among German Jews who saw it all before their eyes, there was a lot of denial. Aron Katz was one who did not want to leave, but after all his siblings were gone and after Kristallnacht, he did finally leave in time. Yes my family were in Austria and Poland. These posts are so painful and so beautiful. I’m thankful that you have taken the time to share your family’s stories, as it is so important that people remember. Unimaginable situations like these can start in small ways. A friend of mine with Jewish ancestors would no doubt love to know what happened to her extended family. Do you have any pointers on how to start with such research? And Montclair, New Jersey? I am so close to there! My kids play hockey in Montclair! Is she searching for German records? Or another country? Does she know names? Places? If she wants some help getting started, have her contact me. And I’ve had multiple ties to Montclair! My great-uncle Harold Schoenthal lived there for many years. Yes, German records. At this point, she is not researching but her brother-in-law is. I don’t know how far he has gotten. I will text her about it. If you need anything local, let me know and I’ll do what I can to help. Thanks, I’m all set for now! But NJ is a real pain to research since they don’t put anything online…. I haven’t really tried anything with NJ records up to this point. Neither of our families are from here. We relocated for my husband’s job. I have some colonial period work to do in NJ but I was already expecting that to be less accessible. Anyway, the offer stands if you ever have need of it. I texted. She is away on vacation right now, but will get back to me at the end of the week. OK, I look forward to helping if I can! Thanks, Sharon. Yes, hate is still with us, and we all need to speak out against it in whatever ways we can. I am happy to know that most of them were safe but I can imagine the scars left – for generations – behind. Thank you for telling their stories. Thank you for reading them, Debi. I assume that “Hpfmeimer Foundation” foundation is actually “Hofheimer Foundation”. If so, it was founded by my great-grandmother Clara Maier nee Hofheimer’s eldest brother Nathan and then his son Lester. They are descendants of my Dreyfuss family of Hechingen and if our lines are indeed connected are also related to you. It could be—I just cut and pasted from the LBI site, so perhaps it was a typo there? At any rate, thank you for letting me know! What did the foundation do in addition to donating to the Children’s Aid fund? I really don’t know. If you want to find out more I can give you the email address of someone in our generation who would know. Send me an email. I don’t want to post it. BTW, try googling the Tomb of the 12 Nuns. It was Nathan’s burial place on the grounds of his estate in Warren, NJ although his remains were removed long ago. It is supposedly haunted. I will email you, Ralph. Thanks. I was so relieved to read the three children who came without their parents were reunited with family and later with their parents. You would think history would teach us to make our world a better place but sadly there are people who do not care to be taught. No, and it’s really hard to do this research and then see people out there promoting hate and racism. Because we are humans we will always be in a struggle with our more sinister side of our nature. It is when we allow ignorance, jealousies, and fear, to rise we have events like Charlottesville and even the holocaust of World War 2. I often marvel that the human race can produce such great works of literature, art, music, and so many great technical advances, and then the gas chambers. I do not understand it, I have tried but failed. But I do agree with Dr. King, may we all be strong enough to follow that advice. 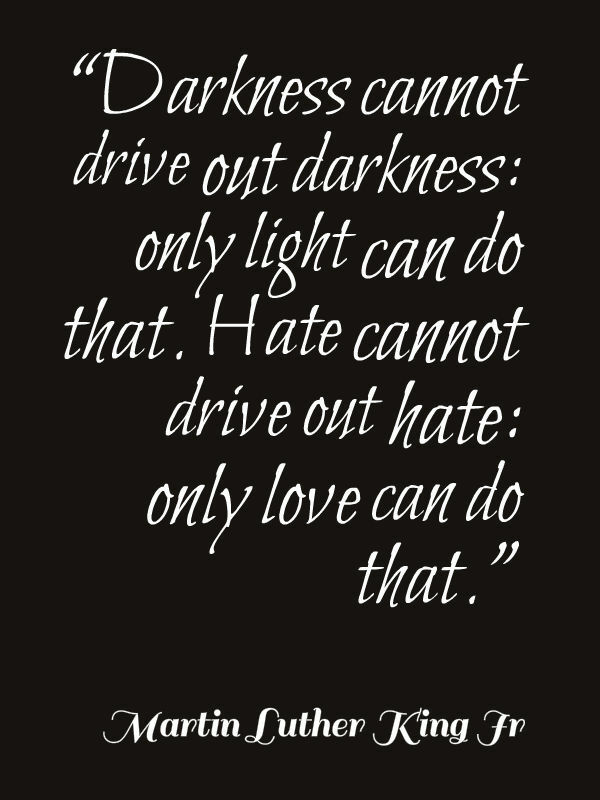 I cannot help but wonder if part of the reason is that hate and anger are so much easier than love and understanding. Are they? Not for me. I find that anger eats at me and hurts me whereas love and understanding make me feel happy and whole. There is so much here, Amy, it’s hard to know where to begin. As I’ve said before, this is a story that needs to be told, over and over…obviously, since some folks aren’t getting it, so first of all, THANK YOU. I am beyond outraged and upset by the events in VA. I was looking at an article today by a so called “reformed” white supremacist who stated he felt people in those groups need an identity, a purpose, something to belong to…and I was flabbergasted. Why pick a hate group? Why not align with raising funds for cancer, or the homeless, or volunteer with an animal shelter? All I can think of is that SOMETHING went horribly wrong in the family of the young man who murdered Heather Heyer. Yet his mother acted oblivious. I don’t buy it; she had to know. And I am left thinking WHAT HAVE WE BECOME? I have no words, only a broken heart for Heather and our country. I agree—how can someone become so angry and hateful that this is what they become? Were they deprived of love? Were they taught to hate by parents who are hateful? Are they just sheep following some bully who makes them feel wanted? I can’t imagine it. And then the question is—how do we prevent others from becoming this way? What else can we do as a society to raise kind and tolerant and loving people? I hope so. Thanks, Karen. Well done, Amy. I can imagine how hard and sad it was to research and write. Such hatred is incomprehensible, and that we’re seeing it emerge from the shadows again makes me sad beyond words. Hi Leslie! It was very hard. And it isn’t getting easier. I hope all is well with you. I felt relief as I read that so many survived. But relief seems hardly appropriate as some did not, and those who did had to flee for their lives and were separated from their loved ones for a time. How was Hitler not stopped sooner? With the benefit of hindsight it is easy to see that he should have been stopped sooner, but somehow he was not. Six million is too many. One is too many, but six million? That is horrifying and shameful. Even worse is that there have been more genocides, even today, at this moment it continues on. Thank you for using your voice to tell their stories. We have to keep telling the stories. Look around now. How willing are people including elected officials to take on the White Nationalists, i.e., racist, anti-Semitic, white supremacist Nazis like those who marched in Charlottesville? I hope we have learned from what happened in Germany, but I sure am not betting on it. Complacency is easier than resistance, and many “good” people in Germany sat back and let things happen because it wasn’t affecting them directly. I hope we have also, but those lessons are hard earned and many who have not been touched by it aren’t willing to pay the price to learn them. I appreciate that the current JR High curriculum where I live includes a lengthy WWII unit that goes into depth about the Holocaust. Two of my boys have now experienced that. They have to create a reporter’s journal as if they were a war correspondent who was able to “experience” going to various places throughout Europe. They had to write about places like Auschwitz as if they witnessed it. It was hard for both of them. But making it a creative project that had to include drawings and handwritten accounts was cathartic. My oldest had an especially hard time with it. He is very tender hearted. I appreciate the wisdom of the Utah education standard for that age. It has had an impact on my boys. I hope that it is just the beginning of their understanding of what can happen when hate is unchecked. I am heartened to hear that Utah has such a creative and sensitive approach to teaching such a difficult subject. One thing that impressed and moved us when we were in Germany are the efforts taken to educate young people about the Holocaust—with similar hands-on creative methods of having them imagine the lives of the people who were killed. In fact, many schools require teens to visit a death camp as part of the curriculum. Can you imagine if the US had done the same with slavery and race discrimination? What if we made each child feel what a slave must have felt like or what it’s like to be discriminated against because of your skin color? I bet our society would be much better off than it is if we’d done that 100 years ago or more. I agree! I grew up in Oregon and Washington. I remember learning about slavery in elementary school. I don’t recall the actual lessons, but I remember what I learned at a tender age – slavery is wrong and horrific and that we absolutely cannot hate, especially based on something as simple as skin color. As an adult I have struggled to understand the complexities of race relations in other parts of the US because I benefitted from good education in the school system and being part of a family that was opposed to racism and prejudice. My Grandpa was a professor at Utah State and helped run the family cattle ranch. He would regularly work to bring students from Africa who wanted to obtain higher education to help advance their community back home once they had completed their studies. He would provide employment for them on the ranch if that worked for them. He would also help to secure visas and housing for their spouse and children to be with them while they studied. We have several “adopted” family members from Africa. My Grandpa has been gone for so long now that we have lost touch. But I remember well many visits from these students who would have opportunities to return to the US for a brief time and would trek to my Grandparent’s home. The love between my Grandpa and these families was powerful. Acceptance is engrained so deeply into my very being that I am shocked when something like Charlottesville happens. I know we could make a list of hundreds of such examples of intolerance and violence just from recent years, but I don’t understand the feelings that lead to those moments. It’s a real struggle for me. And because I don’t understand it well, I often feel powerless. One significant blessing for me has been to work with children. I taught Kindergarten and I have served for many years teaching children in my church. I invest significant effort into preparing well so that no matter what the actual lesson material is – I teach as much about love as I possibly can. I work and pray to have opportunities to share, teach, and model love with those precious children. It’s a small part, but it’s what I can do. I hope that the ripples will be strong. You are very lucky to have had such a strong background and exposure to people of different backgrounds. Unfortunately too many children are raised to fear and even hate those who are different from them—whether it’s race, religion, national background, sexual orientation, etc. It’s just such a shame because children are not born with these prejudices. Thank you Amy, I feel lucky. And you are right, children are completely open and accepting. They are the bright light of our future, we need to learn from them and teach them well all at the same time. A very moving post. 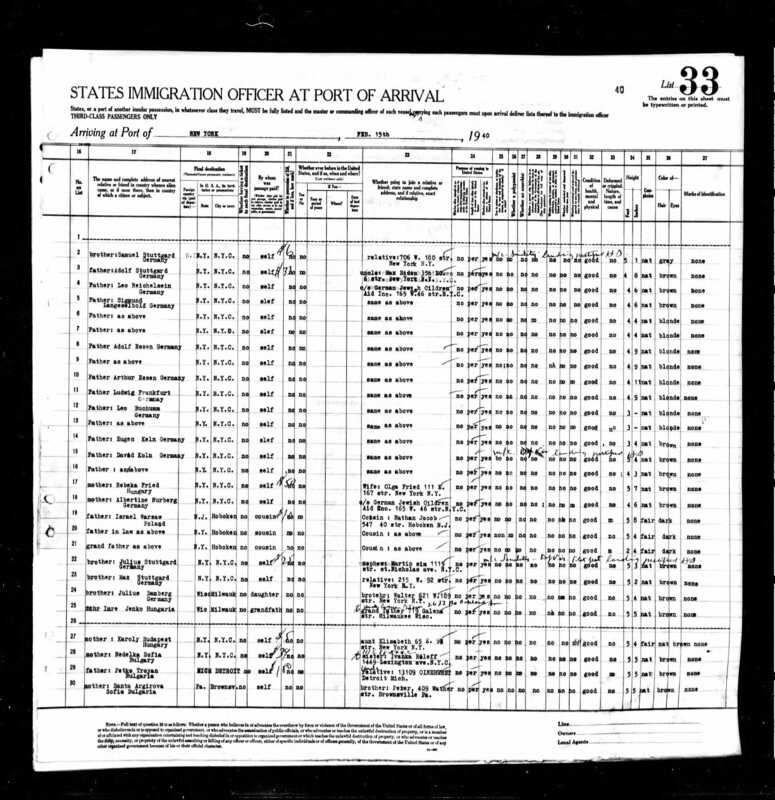 I was glad to read that so many members of the Katz family were able to escape from Germany. And yes, despitetheir escape, I imagine they were forever haunted by what they’d seen and heard during their years under Nazi rule. I am sure that is true for all survivors. 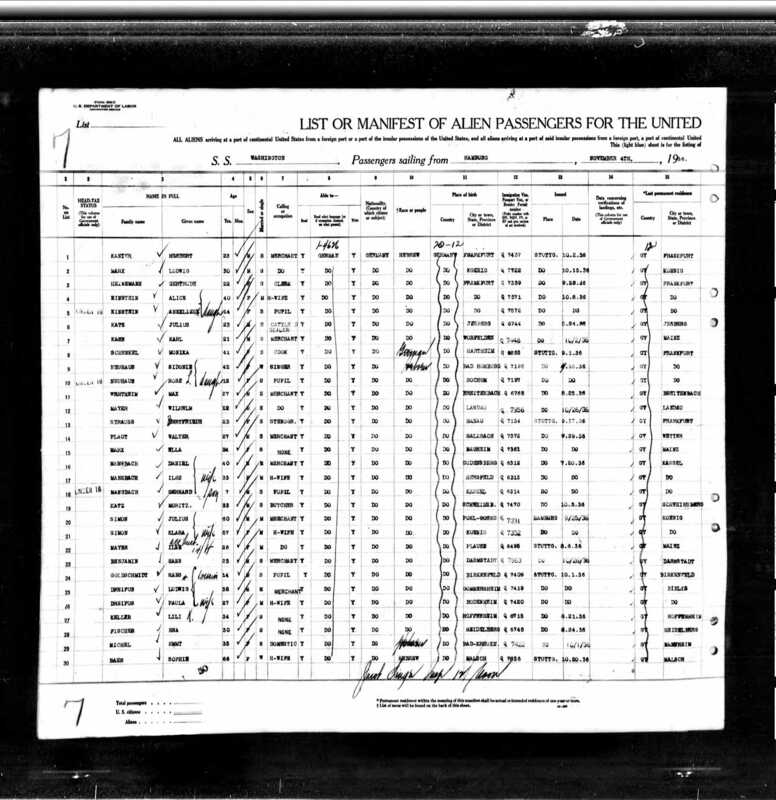 I am struck by how many of them died not long after escaping to the US and also by how many lived very long lives as if to prove that Hitler had not defeated them.